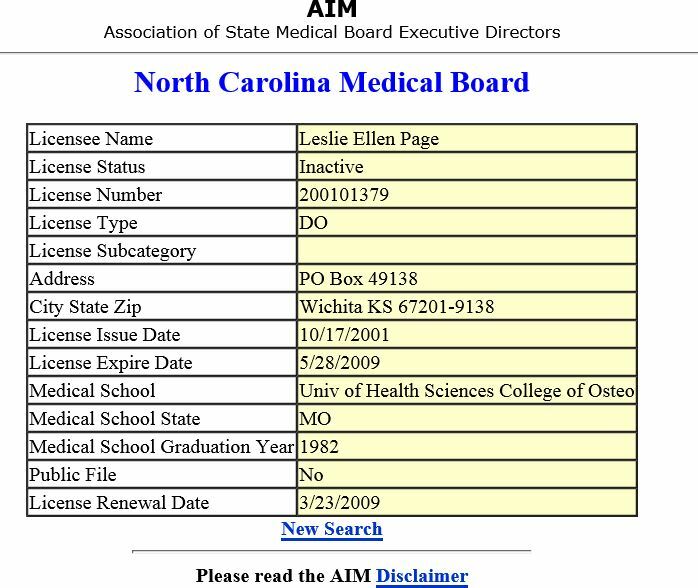 Original 1983 Kansas medical license application. 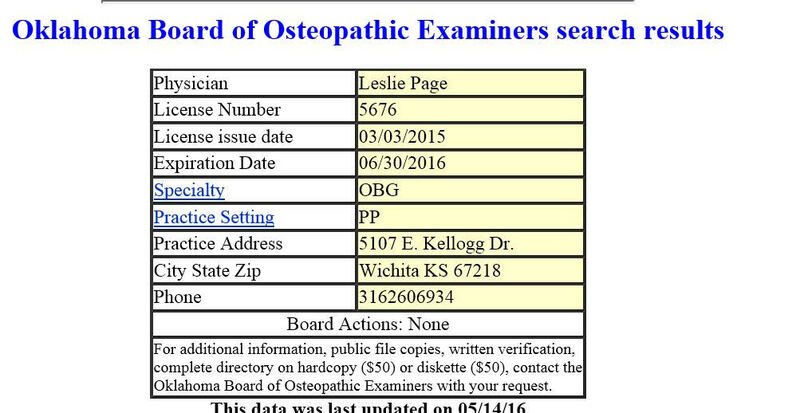 Disciplinary order restricting Page's license and barring her from practicing obstetrics. 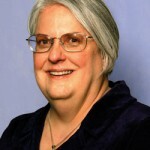 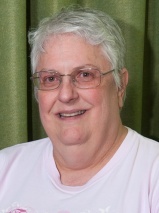 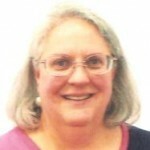 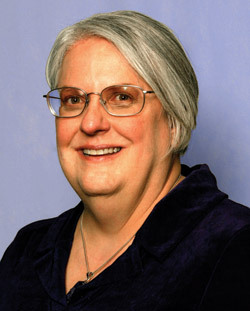 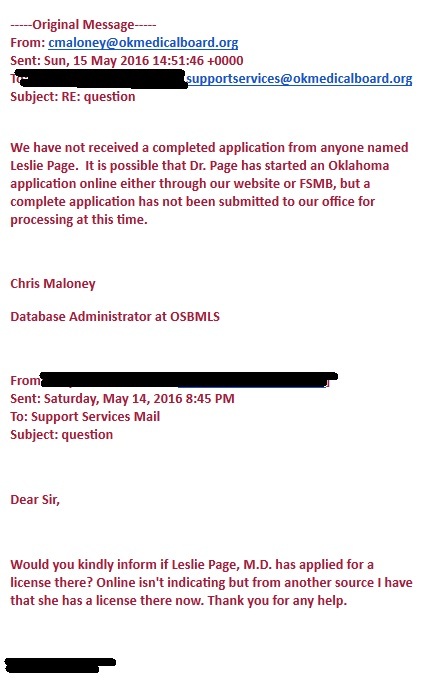 License restriction ended because Payne volunteered not to practice obstetrics anymore after the KSBHA found her incompetent in that area of practice. 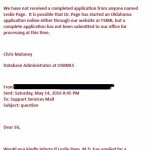 Shows Page's affiliation with Via Christi, a Wichita, KS hospital that is affiliated with the Catholic Church. 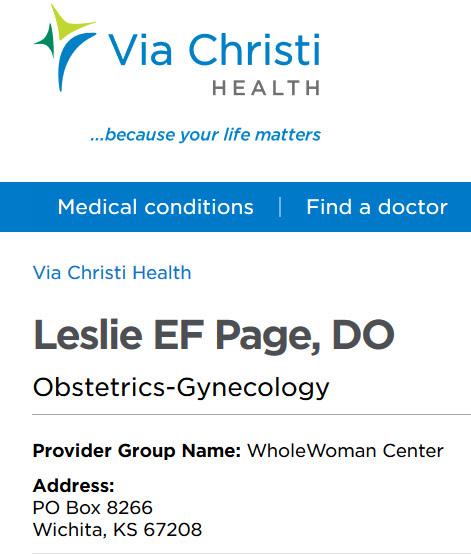 South Wind Women's Center Informed Consent form from Feb. 2015, that shows Page employed as an abortionist at that clinic. 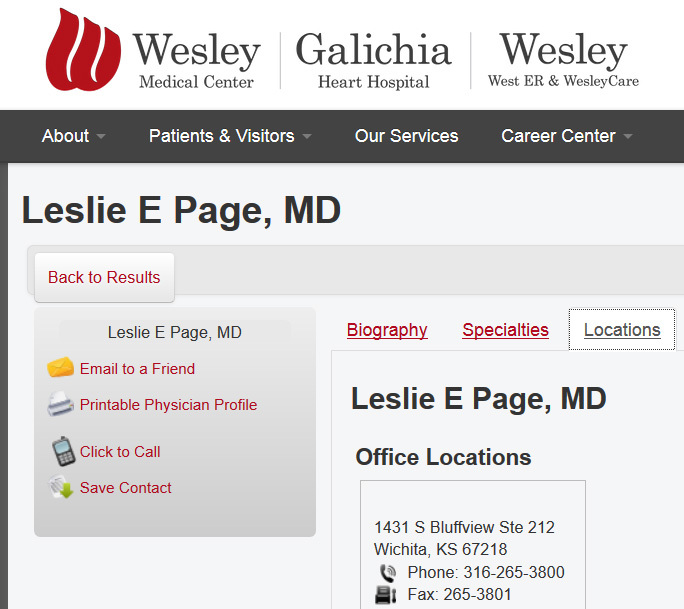 Screen shot showing Page's affiliation at Wesley Medical Center in Wichita, KS.